Home > Google News > Google Search By Date Has Issues With European Format? Google Search By Date Has Issues With European Format? A Google Web Search Help forum thread reports a possible bug with Google's handling of European dates in their search by date feature. In the screen shot below, you see I am entering a date range of 31.12.2002 or December 31, 2002 through 31.12.2003 or December 31, 2003. 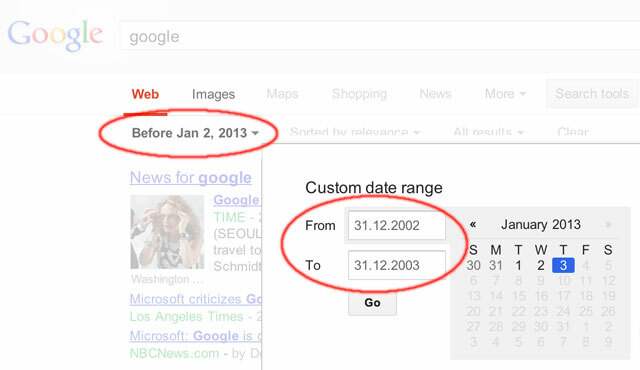 But what Google returns are all results before yesterday, January 2, 2013. Google has had issues with search by date before, specifically on Google News and Google Video. Thanks for the report. I've let someone know about this issue, and we'll see what we can do about it.